A day after former Manipur Chief Minister O Ibobi Singh was grilled by the vigilance department officials over his alleged role in the multi-crore LDA scam, the Manipur Pradesh Congress Committee (MPCC) has hit back demanding the resignation of present Chief Minister, N Biren Singh on moral grounds for allegedly failing to check corruption taking place in the State. 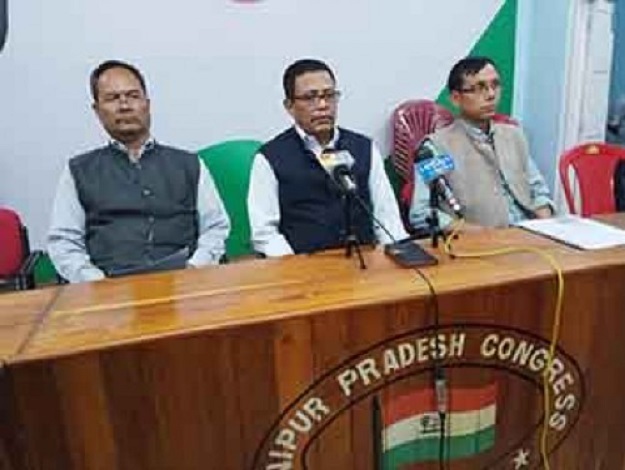 Interacting with the media on Tuesday evening, MPCC spokesperson Hareshwar Goswami, rubbished the anti-corruption campaign of the BJP government as a ‘practical joke’. The MPCC spokespersons claimed that huge amounts, to the tunes of several crore rupees, have been misappropriated by issuing forged cheque drawal authority (CDA) in works department. Referring to the fund misappropriation, the spokesperson reiterated that the BJP’s anti-corruption campaign has become meaningless for it has turned a blind eye to a big scandal and instead persecuting only the soft targets. Goswami also urged the authority concerned to immediately hand over the case to Central Bureau of Investigation (CBI) and take stringent action against the frauds.